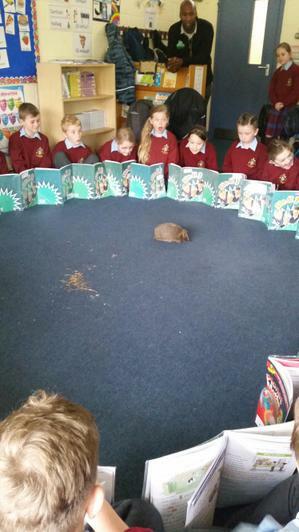 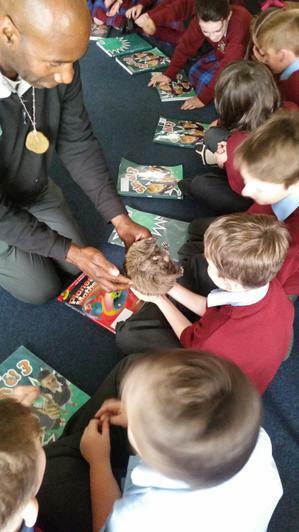 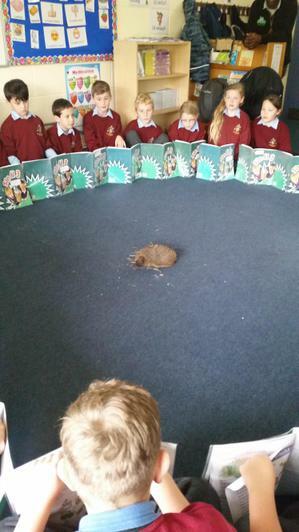 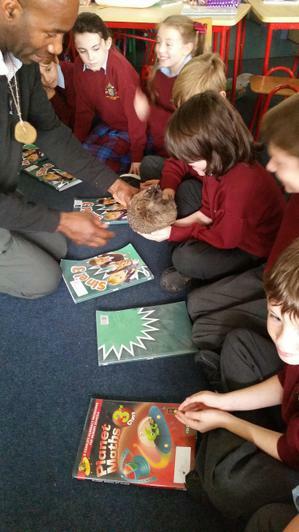 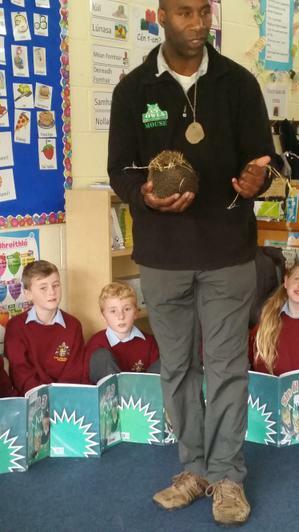 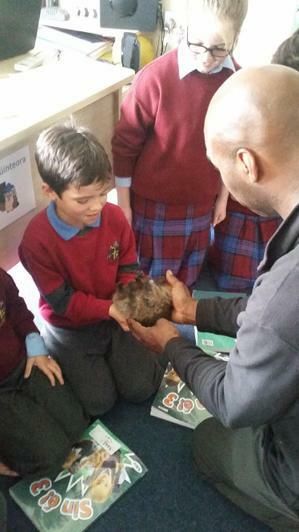 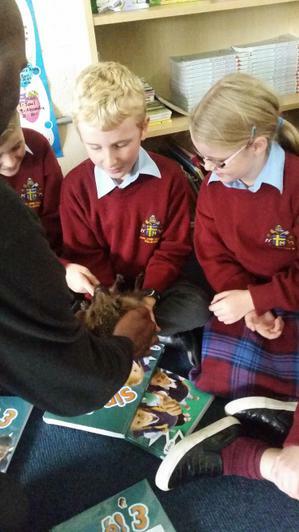 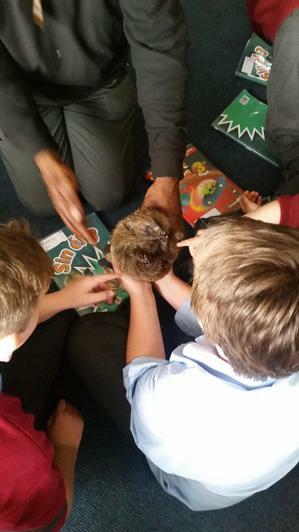 Mouse was in our classroom on Wednesday talking to us about mammals and hibernation. 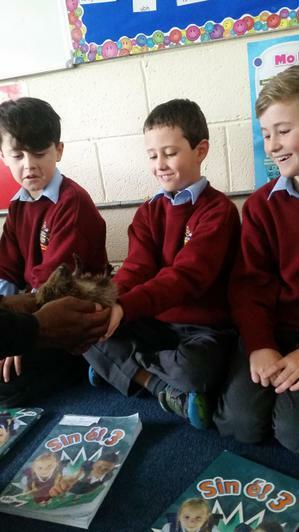 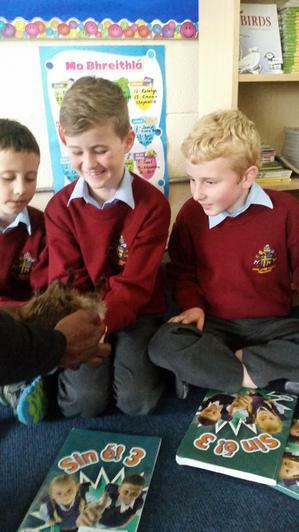 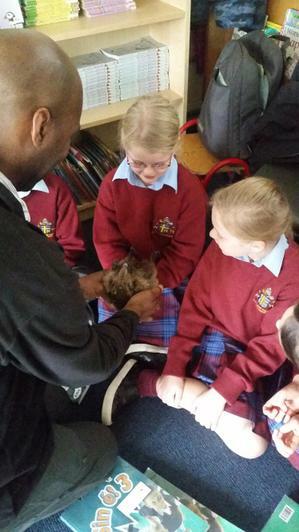 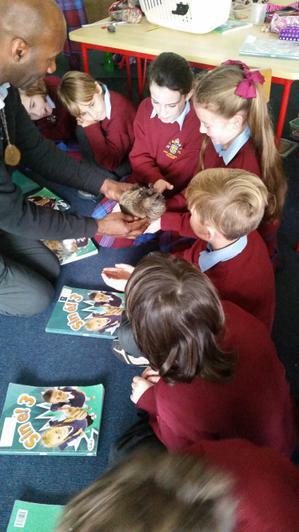 He brought a special guest with him to visit us....Hobnob the Hedgehog! 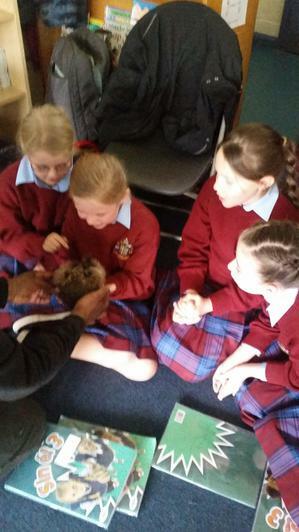 Hobnob was so cute and we all got to hold him!